Maryland Divorce and Custody Lawyer for Frederick County, Washington County, and Montgomery County. Life is full of complications and difficult situations. The assistance of an experienced Frederick divorce lawyer can be helpful in finding the efficient and favorable results you deserve. 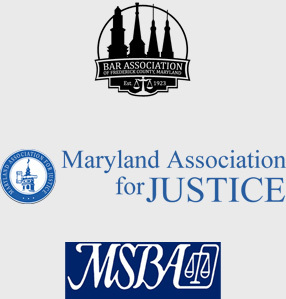 At the Soubra Law Firm in Frederick, Maryland, I, attorney Imad Soubra, provide dedicated and knowledgeable legal assistance to clients throughout Maryland. My wide legal background allows me to assist clients with complex family law issues and defend against DUI / DWI and other traffic violations. Contact my Frederick law office online or call 301-219-5038 to schedule a free initial consultation and discuss your specific needs today with an experienced Frederick divorce attorney. The Soubra Law Firm is a general practice law office committed to providing professional legal services in a timely and efficient manner. My policy is to keep you informed at all times as to the status of your case, allowing you to make educated and informed decisions on the next steps in your proceeding. I counsel my clients in an easily understandable and compassionate style. Family law: As a Frederick divorce lawyer, I handle cases involving divorce and separation, property division, child custody, child support and visitation concerns. Personal injury: I am an experienced personal injury attorney prepared to prove fault and help you obtain the benefits you are entitled to recover. Bankruptcy: If you are in a difficult financial situation, I can help you file for Chapter 7 or Chapter 13 bankruptcy, so that you will be on your way to a fresh start. Contact my office to meet with a Germantown bankruptcy attorney today. Criminal law: I am committed to defending your civil rights if you are accused of violation probation, drunk driving or another serious traffic offense. Workers' compensation: If you were injured at work, I can help you secure workers' compensation benefits to help you recover from your injuries. Family Law issues takes an emotional toll on a family as well as present legal challenges. Whether you are going through a separation, divorce, custody (disputes over your children), facing paternity issue or your property, we can provide effective, proficient, ethical, and cost-efficient representation. At the Soubra Law, we understand and are familiar with all of the complexities and nuances that occurs in a family law case. As Frederick Divorce Lawyers, we know how much is at stake for the spouses and their children. We are committed to finding a viable solution that will protect your best interests as well as the family’s best interest. Put Soubra Law Firm several years of experience to work for you by contacting us today. By definition, a divorce is a legal action filed by a married person or persons to terminate a marriage. In Maryland, a Divorce can be obtained through a fault such as Desertion, Abandonment or Sunset Desertion, Constructive Desertion, Adultery, Cruelty of Treatment and Excessively Vicious Conduct, Insanity, Conviction of a Crime, and Mutual Consent between both parties. However, there is no-fault route of divorce that can be taken. This is the 12-month separation between the parties. In order to do the 12-month separation, the parties cannot live under the same roof. In order to have jurisdiction in this State to file for divorce, one of the spouses must have been a Maryland resident for at least six months prior to filing the divorce complaint. As a Frederick Divorce Attorney, I can determine for you what would be the best way to acquire a divorce in your given situation. At the Soubra Law Firm, we can help Frederick Maryland resident along with other counties in Maryland such as Montgomery, Carroll, and Washington Counties to file for divorce and carry you throughout to process to dissolve your marriage. It may appear that the process seems simple and can be easily managed, but this is not the case. An Attorney can make sure that you understand all of the legal implications and none of the technicalities is skipped. In Maryland, this is known as child custody for one parent to have custody over the child or children and visitation for the other parent to have access over the child or children. However, there may be cases where parents can have shared custody of the child or children. This is based on a case-by-case basis. This really depends on the facts that you have and how well the family unit is set up. Before you do anything, you want to make sure that your family unit is arranged, so that you have this arrangement. You should also consult an attorney to have this set up, so that way your facts can reflect situations where shared custody is possible. Many parents have a difficult time determine where should the child or children live with whom when parties do not live together. In a custody case, you need to decide the necessary arrangement with regards to physical custody and legal custody. Physical custody is defined with whom the child spend time with each parent, including holidays and vacations. However, legal custody means to who will make the major decisions about the welfare of the child such as religion, education, and medical (surgery, dental, etc). If the parents agree to these issues, then they are at liberty to make those decisions for the child. If the parents cannot agree, the court will make the decision on what is in the best interest of the child. Parents have a duty to support their children financially. In Maryland, child support is based on the Maryland Guidelines, including the matrix for basis support, are found in Maryland Code Ann., Family Law §§ 12-201 through 12-204. The Guidelines when the parent’s gross income is inputted along with the costs for the children such as daycare, medical insurance, extraordinary medical expenses, and other costs. Child support obligations may end when the child reaches 18 years old or if the child is still attending secondary school then the child support obligations will end when the child reaches 19 years old unless otherwise agreed by the parties to a different arrangement and the court will permit such an arrangement. Frederick Divorce Lawyer, Imad Soubra, can advocate for your right to receive child support if you are the recipient or not being taken advantage of if you are being forced to pay more than the Maryland Guidelines permit if you are the obligor. Alimony also known as spousal support is the financial maintenance provided to the other spouse after a divorce is granted or during the court proceedings for temporary support. In Maryland, depending on the circumstances of the parties, either husband or wife may receive alimony. A critical factor out of the alimony factors would be how long have the parties have been married. In event the parties married for a long time, the likelihood that one spouse will receive alimony due to the divorce. The alimony factors are the following: the ability of the party seeking alimony to be wholly or partly self-supporting; the time necessary for the party seeking alimony to gain sufficient education or training to enable that party to find suitable employment; the standard of living that the parties established during their marriage; the duration of the marriage; the contributions, monetary and nonmonetary, of each party to the well-being of the family; the circumstances that contributed to the estrangement of the parties; the age of each party; the physical and mental condition of each party; the ability of the party from whom alimony is sought to meet that party’s needs while meeting the needs of the party seeking alimony; any agreement between the parties; other factors are considered as well. As a Frederick Divorce Attorney, I can guide you through these factors to have the courts figure out an adequate amount for alimony in your case. Marital property may be divided at the time of the divorce. There may be certain circumstances where a court determines to order a division of marital assets that is not even. Non-marital property, gifts, and inheritances are not subject to division at the time of the divorce. Property distribution can quickly become complicated because there may be many assets to divide. This is why having an experienced Divorce Lawyer in Frederick Maryland area on your side is critical in these types of cases to be certain that you are on the right track and not miss or loss any interest in property when division occurs. Legal issues can provide an unnecessary burden. With my help, you may find efficient and favorable resolutions to your unique legal needs, while keeping costs and emotional pain to a minimum. Dedicated to making my clients' legal experiences as painless as possible, I offer free initial consultations for DUI / DWI and workers' compensation cases, flexible office hours and affordable rates. My knowledge of the law and dedication to my clients' satisfaction are evident from our very first interaction. I will take the time to take a look at the case and do a proper analysis what should be done in your case to achieve the proper result. It is critical that an attorney do this in your case to achieve the maximum result in your case. If you retain me, I will do what I can under Maryland law to represent you the best I can. Contact my office to schedule a free initial consultation to discuss your specific needs today.